The Tibetan Sans-Papiers Community defends the rights of the rejected Tibetan political asylum seekers in Switzerland. We are around 300 undocumented Tibetans commonly referred to as “Sans-Papiers” living in Switzerland. SEM (State Secretariat for Migration) suspects us that we might have socialized or lived outside Tibet namely India or Nepal and therefore has rejected political asylum to us. It was in late 1950’s when the Communist Chinese first marched into Tibet and occupied the country. The Chinese regime fully took over Tibet, thereby killing and massacring around 1.2 million Tibetans. Hundreds of thousands innocent Tibetans were dragged to prisons and tortured to death. Centuries old cultural institutions and spiritual monasteries were destroyed and valuable properties and precious treasuries were robbed. Those who survived, struggle until today to live their culture and keep their religion alive. It was in 1959 that hundreds of thousands of Tibetans along with His Holiness the 14th Dalai Lama were forced to flee into exile. Since then Tibetans have been searching for refuge around the globe. 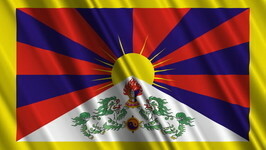 Fortunately, Switzerland has been among those Nations who first granted refuge to the Tibetans. The number of Tibetans living in Switzerland today adds up to around seven thousand. However, due to the recent changes in the application of the Swiss Asylum law, we, a group of around 300 Tibetan Asylum seekers, have been denied political asylum. This has put all of us into very difficult and precarious situations. We are labelled as “sans papiers” (undocumented). Some among us live under unimaginable and pathetic conditions in various underground bunkers known as “Notunterkunft” or in Asylum Centers. We are deprived of basic education and have no right to take part in any integration program. The situation of the asylum seekers varies considerably between the Cantons. Moreover they are even fined for the fact of living illegally in Switzerland and jailed for not being able to pay the fine. 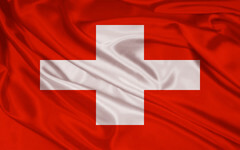 We request the Swiss Government to please consider our situation and grant us a stay permit. We Tibetans are law abiding people who have came here with a hope for a safe life devoid of all the discrimination and oppression we faced back under the Chinese regime. We appreciate the newly passed Swiss Asylum Law which focuses on a fast integration. We are motivated and ready to integrate socially and professionally and would like to request you all to support us. © 2019 Tibetische Sans-Papiers-Gemeinschaft Schweiz.